Dancers perform the 'Bidadari Genit' (flirty angels) dance choreographed by Paundra Karna. 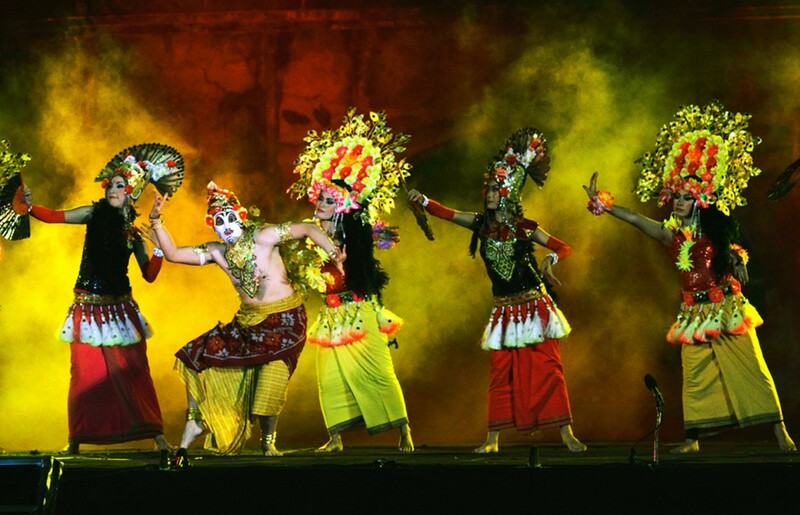 International performing arts festival the Solo International Performing Arts (SIPA) festival will be held in Surakarta, Central Java, from Thursday to Saturday, Sep. 6 to 8. Around 100 artists from 11 countries will perform at the festival, which will take place at Fort Vastenburg. Marking its 10th anniversary, the annual festival will feature performers from the United States, Italy, Taiwan, Spain, Russia, Zimbabwe, Italy, South Korea, the Netherlands, the Philippines and Germany. The festival’s theme this year is “We are the World, We are the Nations”, a reminder that global citizens are one. “SIPA is a meeting point for artists from around the globe. 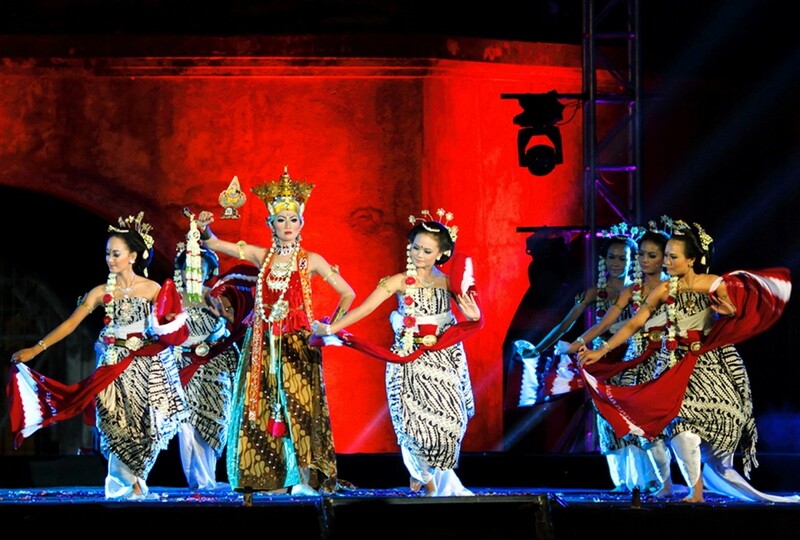 The performances will express a sense of togetherness amid diversity,” said Hasta Gunawan, head of Surakarta’s tourism agency, on Thursday. This year’s SIPA will be opened on Sept. 6 by the head of Indonesia’s Creative Economy Agency Triawan Munaf, and will be preceded by several lead-up events on Tuesday and Wednesday, Sept. 4 to 5. The pre-SIPA events will include dance performances and fashion shows held under the theme "Semangat SIPA" (SIPA spirit) and will take place at the Solo Grand Mall (SGM). Five performing arts groups, Sanggar Tari Citra Jebres, Kids Model Community Solo, representatives of the Mangkunegaran Academy of Arts (ASGA), Polah Crew and Semarak Candra Kirana will take part in the lead-up events. “This will be a teaser of the upcoming SIPA, to attract an audience,” said the public relations coordinator of SIPA 2018, Henggar Ramadhana. Another pre-SIPA event, titled Sipa Goes to the Café, will be held on Sept. 4. The artists are set to perform in a number of cafes and wedangan (simple local eateries) such as Double Decker, Diamond restaurant and Waroeng Kroepoek. Meanwhile, SIPA Goes to Campus will be staged at the auditorium of Sebelas Maret University (UNS) and will feature indie singer Danilla, Fisip Meraung, Keroncong Smaracatur and the Chinese Youth Goodwill Association Taiwan.